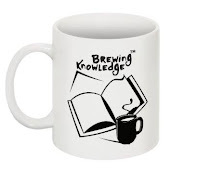 Brewing Knowledge: What is Empathy? We are all students of life learning from each other and we are all teachers sharing our dharma gifts with the world. Empathy is required to connect on this life PATH. I must understand your PATH and you must understand mine. Then we can truly learn from one another and share beyond the veils which bind us to limited notions. Empathy simply means understanding and sharing feelings of others. It is different from sympathy in all senses. When you empathies with a person, you try to comfort him and express your concern towards him which instills in him a confidence in himself as well as you. Understanding a person only through looking at his situations is difficult. One may look happy but might actually be not. Helping people by relating to their situations, helping them share their feelings and then motivating them to be strong , be good or bad, should be the ultimate aim. Empathy- An emotion which every person goes through. A power to understand one's situation and react accordingly. It means the power to feel the pain of others, to feel what the person is going through, to reduce his pain by eliminating his problems and making things better. Empathy - As strong word is to grab one's feeling and place our self to that particular situation. Sharing pain and sorrows of others is in nature! To listen, to feel, to think according to the other persons outlook. Empathy - All together is an ability to understand and share the feelings of one another! Like if someone is disappointed and feeling doleful because of any consequences the other person will consider the same situation and feel the same to support! Basically empathy means to think according to other persons perspective. To be with them. To give solutions to their problems. Empathy is not only Austin word, rather it is the philosophy of feeling which only those people understand who have gone under same kind of situation which the person has experienced. In fact it is very difficult to understand its meaning if you are not concerned about others happiness. Once you connect with the happiness of others, you actually work to sustain it, when such kind feeling comes in you, this is actually called EMPATHY. It is a kind of feeling that connects you with the people who help you achieving New heights. All profession requires it in order to make the profession the happy profession. But talking about EMPATHY Will not be enough unless it is not instilled in the spirit of all who commands. Till the smallest unit of any profession is under frustration. No goals or motto can be achieved. So Empathy must truly be taught. Empathy is basically to understand the pain of others. To put over selves in the same situation and recall accordingly we place over selves in their shoes and feel what they are feeling. It means sensing others perspective and king an active interest in their concerns. To be able to empathies with them. Empathy is the core of the earth from which life sprouts. It is the ability to understand another's state of mind and to recognize other's emotions. We should put our self into another's shoes and experience the outlook or emotions of another being within oneself. It is the most essential quality of civilization. Empathy is when someone really hears you without passing any judgment on you. It means to understand the emotional status of others. An empathetic person always listens to and his feelings with others. Empathy is seeing with the eyes of others, listening with the ears of others and with the heart of another. Main elements of Empathy: * Ability to step in others shoes * See their world * To show love & care for others *Understand feelings * Appreciate them as human beings * Communicate understanding * Treat others the way you want to be treated. Empathy -means what we experience when we feel other person's pain or joy. It is ability to put ourselves in someone's else condition, understand and share what they are feeling. We can feel their emotions .It is also an awareness of the other's feelings. For example in daily life experiences we change ourselves according to the other's feeling like if someone express happiness and smile that time we feel happy and joy .If someone's express pain and sorrow that time we feel like that perspective. How Good It Would Be If We Start Empathising With The Weak Peope In Our Company And Life And Understand Them. Empathy is the capacity to understand or feel what another being is experiencing from within the other beings frame of reference, i.e. capacity to place oneself in another's position. It is heartbreaking - you experience other people's pain and joy. If you can empathize with someone, its because you have been in there place. You have walked a mile in there shoes as the famous saying goes. On the playground, a six year old boy falls off the swings and cries. Some of the children laugh, some look at the other way. When one child rushes over to help him up. This is EMPATHY. You breathe a sigh of relief. Is it something that I did to teach that child to imagine how someone else felt and respond with care and concern, was that child born with an innate capacity for empathy?? Studies show the answer is likely both. Empathic children are aware of their own feelings and individuality are able to relate to common feelings while also distinguishing their own emotions from the feelings of others can imagine how others might feel in a given situation and respond in a way they imagine might be comforting to that person. Studies show children are born equipped to be empathic, but these skills take time and practice to develop. Empathy - The strongest feeling ever ! It simply means to feel the glum or joy of others. To connect with others feelings. To feel exactly what he is feeling, to be with them no matter what the situation is. It is the ability to imagine what some else is going through. To thinking according to their perspective. It means putting oneself in another's place. Whenever we feel low , depressed, if we find someone who is able to feel our pain, gives us strength, find measures to solve our grievances. We feel so LUCKY. So we must practice this skill! Empathy- The ability to identify with or understand another's situation or feelings. Empathy is a distinctly human capability. The power of entering in another's personality and imaginatively experiencing his feelings. It is applied to someone often with a sense of deep presence and consoling. Also with a desire to alleviate the suffering. Empathy is a skill that needs to be developed and honed. Sympathy can be just as honest, but empathy is a deeper feeling. Empathy means the ability to imagine how another person is feeling and understand their mood , before understanding the feeling of other understand the feeling of our emotion. If you understand your emotion obviously you can understand the emotion of others. We can imagine the feeling of other but cannot feel the same. For example a person who is outside from his home can feel the feeling of other person who is also living the outside from home. Students have to transmit new content to their classmates, so they have to reflect continuously on the mental processes of the other students in the classroom. This way it is possible to develop step-by-step the students feeling for group reactions and networking. Empathy means to be aware of the feelings and emotions of others. It is the link between self and others, because it is how we as individuals understand what others are experiencing as if we are feeling it ourselves. Empathy goes far beyond sympathy. It means to feel with that person. Whereas sympathy means to feel for someone. Empathy is the power to experience the experiences of others. "I call him religious who understands the suffering of others." The word "Empathy" is best defined as "To put ourselves into other person's shoes" to understand their feelings, emotions and decision by their perceptive. To understand what is going on in other person's mind, we need to empathize with them. Many a times it happens that we do not agree with other person's decision and get negative about them. But empathy can help us to understand, why that person has taken that decision. For instance; a person rushed to a bank and enquired about his credit card bill and got anxious to see the bill because the outstanding amount was too much. But when the banker saw tension on his customer's face she empathized with him and told him not to worry because he can pay the bill in Monthly installments also. And after knowing the installment option the customer received much relief. Thus, with the help of empathy she could understand customer's feeling. Empathy is not the same as sympathy. In Sympathy you understand and relate. In empathy you understand but don't have to relate. The word you are looking for is empathize. Empathy is the art of seeing the world as someone else sees it. When you have empathy, it means you can understand what a person is feeling in a given moment. Empathy helps us to communicate our ideas in a way that makes sense to others and it helps us to understand others when they communicate with us. Understanding your own emotion is also important because if you want to understand the emotions of others you have to learn to empathize with yourself. Understanding and accepting your own feeling is essential for a healthy life and it is the foundation of empathizing with others. Empathy is seeing with the eyes of another, listening with the ears of another and feeling with the heart of another. Developing an empathic approach is perhaps the most significant effort you can make towards improving your people skills. When you understand, others, they will probably want to understand you-and this is how you can start to build cooperation, collaboration and team work. Empathy means understanding or feeling the situation of other person equally to what they are feeling at that situation when we feel the pain of others as our own pain or the joy of others as our own joy we become empathetic listening, understanding and helping others are past of empathy. Empathy means putting ourselves in place of another person and understanding their feelings. It requires great effort to imagine what a person is feeling and what we feel for the same situation. But empathy is necessary to make the world a better place. If a student has fear of school and studies then a teacher can change the fear into love if she/he is empathetic. One can win other people's heart through empathy. Empathy is when we listen and understand the situation of other person. And we take that as our own situation and try to find out ways to overcome that (for the other person). May be for a while we feel really sad, disturbed or may be happy depending on the situation the other person is going through. Empathy for me is when 'me and you' becomes 'we'. When Unity grows among us we automatically feel for each other and hence empathy can be seen. Simply we say that Empathy is the ability to understand the feelings of others but actually it has a deeper meaning. Many different definitions have been given to empathy but it entirely deals with the emotional levels of others. It is easy to say but hard to do. It encourages others and helps to develop inter personal relationships. The holy Bible says, “God has given each of you a gift from his great variety of spiritual gifts. Use them well to serve one another. Be happy with those who are happy, and weep with those who weep. Don’t be selfish; don’t try to impress others. Try to do what is good for others, not just what is good for yourselves”. Before leaving for abroad for the first time to preach Hinduism, Swami Vivekananda went to his mother to receive blessings. Then his mother told him, “The person who thinks of others welfare rather than thinking about self has got the right of preaching the world and you have got that right. You have all my blessings."